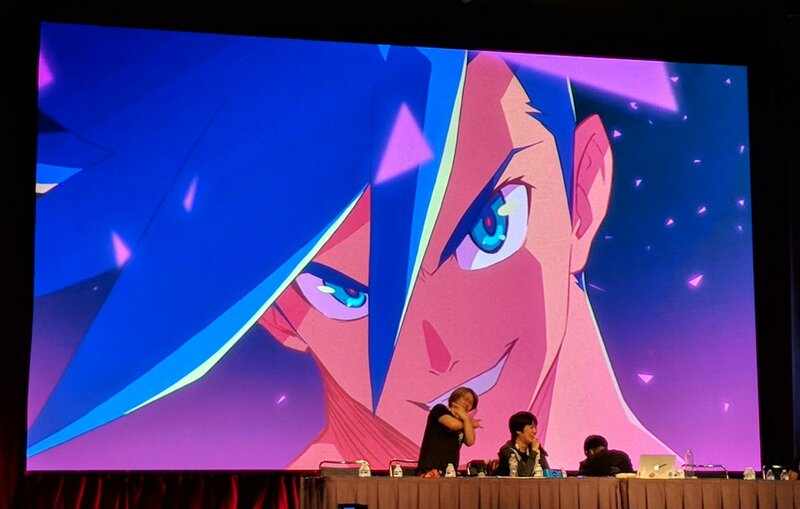 Evan is back from Anime Expo, so he and David recap the news and premieres from the huge convention, including the Gundam live-action movie, Promare, Gridman, and Sirius the Jaeger, and the games that David has been playing in the meantime (spoilers: it's more Fate/Grand Order). In the questions segment, the hosts muse about their dream retro anime remakes. Topics include: Benedict Cumberbatch as Amuro Ray, 3DCG Kamina, and two-million-dollar remake ideas. David is playing Fate/Grand Order again for the anniversary event. Evan writes for Otaku USA Magazine and his side blog Anime Burger Time.